Hobart is the largest city in Tasmania, and is also one of the most beautiful. It has a wide range of appeal that arises out of the diversity of its attractions. It is a port city that is also located on the banks of the majestic Derwent River, and all this water makes for a beautiful and tranquil setting. A Campervan Hire Tasmania holiday is the best way to explore its beaches, waterways and stunning surrounds - you will not be disappointed, we guarantee it! There is lots to entertain and excite you in Hobart, but equally if you head out of the city there is a myriad of breath-taking attractions close to hand that will make your campervan holiday special. One such place is the Huon Valley, and although it's only a forty minute drive away it feels like you have entered another world when you visit this beautiful area. Covering over 5000 square kilometres, there is enough open space and more than enough things to do to fill your holiday a hundred times over. The natural beauty of this region is strikingly evident as you drive through it in your campervan. Still, pristine rivers meander gently through undulating valleys that are mostly covered in National Parks, and provide endless opportunities for bushwalkers and hikers. Hire a canoe or a kayak or go on a river cruise for a peaceful experience of being on the water. This fertile area is famed for its produce, so stop in at some of the many farms around and sample fresh vegetables, fruit and wine. 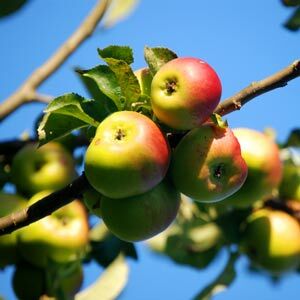 The Huon Apple and Heritage Museum has over 500 species of apple in bloom if the season is right, so pop in for some apple tasting and an informative look into the industry. Arts and crafts lovers will also love the Huon, where local artists produce paintings, sculptures and everything in between at a prolific rate! The valley caters to all ages and all interests, so why not plan your next Campervan Hire holiday here? If Hobart and its surrounds interest you, why not use our planner below and check the availability of campervans for your travel dates? If you have any questions just go to our FAQ's page, or give us a call for more information.